The first minutes following a traumatic injury are crucial in saving a life. Uncontrolled bleeding can result in death within minutes–even before emergency medical services or other emergency responders can arrive. 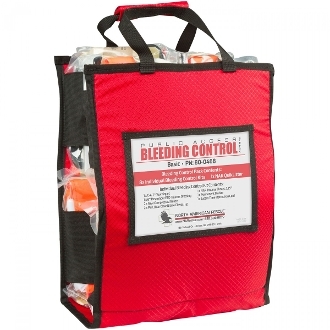 The North American Rescue® (NAR) Public Access Bleeding Control (PABC) 8-Pack is designed to provide bystanders and initial first responders with quick and easy access to essential medical equipment for stopping life-threatening bleeding. The PABC 8-Pack includes eight (8) Individual Bleeding Control Kits that are contained inside of an easy-to-open nylon carrying case. Also included is one (1) NAR QuikLitter™ used for moving injured casualties.